As a concept, Lost White Tribes is promising. 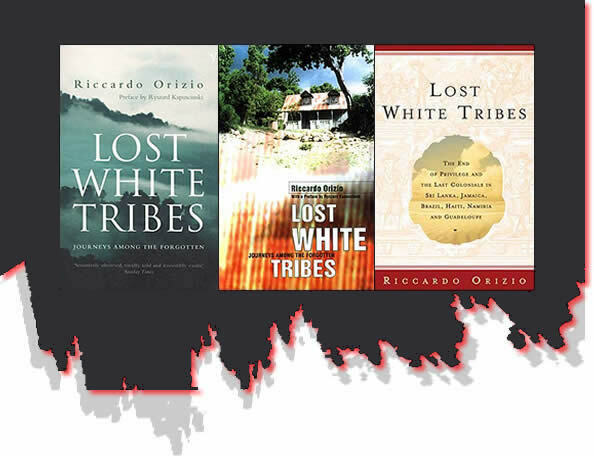 Riccardo Orizio is an Italian journalist who has stumbled upon an overlooked section of world society, the forgotten "white tribes". Taking as his focus the people who settled in various sections of the globe during colonial times but who, when the colonised nations gained independence, either had no money or desire to return to the parent countries, he sets out to track down a dying breed: hybrids with no future. Documenting pockets of people heading towards extinction - from the Germans of Jamaica to Sri Lanka's Dutch, the Confederates in Brazil, Poles in Haiti and Basters of Namibia - Orizio turns on its head the notion that the colonists always came off best. 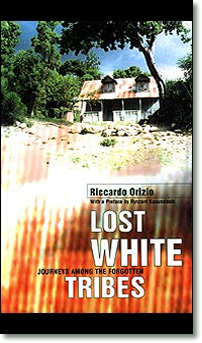 An anthropological report as much as a piece of travel writing, it is a worthy theme and Orizio's fascination is contagious in some parts, but tends towards the dry in others. Discovering his first white tribe in Sri Lanka, the Dutch Burghers seemed "more exotic than all the exotica around me" but are "reduced to being a historical fossil, little more than a genetic anomaly for whom no one wants to claim paternity". The individual stories are absorbing, but Orizio is always the journalist, placing too much emphasis on facts and figures over narrative drive for his book to be truly gripping.